Use quilting rulers, guides and templates with your Grace Q'nique by adding this ruler base to your quilting machine. 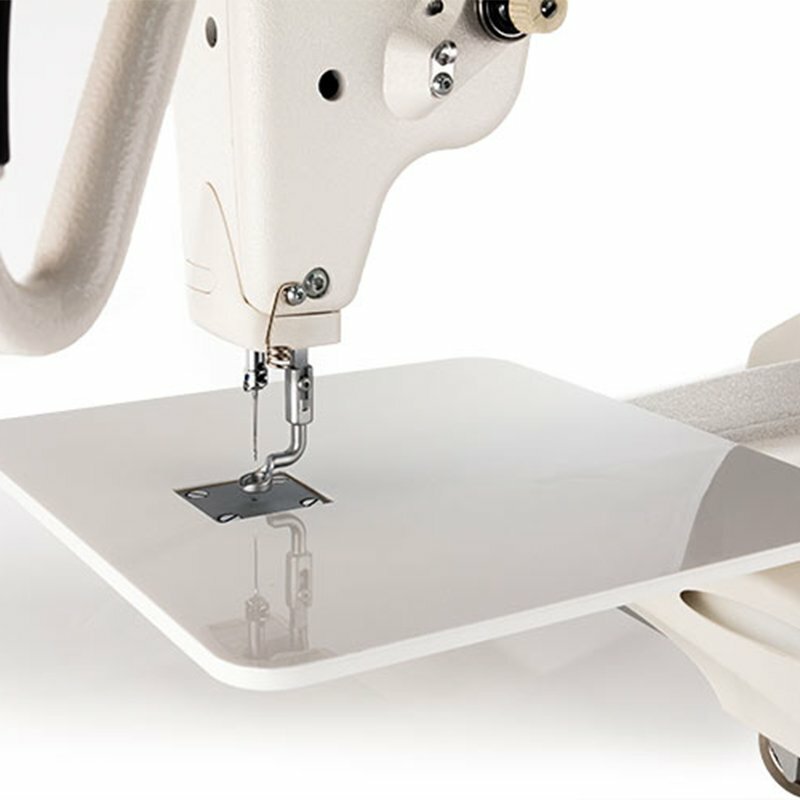 It adds a level, sturdy extension to the base of your quilting machine when using a quilting frame. The ruler base is very easy to attach and remove.